I have a grid, and I'm thinking about adding a legend to it. Like there are legends for charts. Some line items are missing data. I need to label them, so user knows. There is one column where content can be appended; not edited. 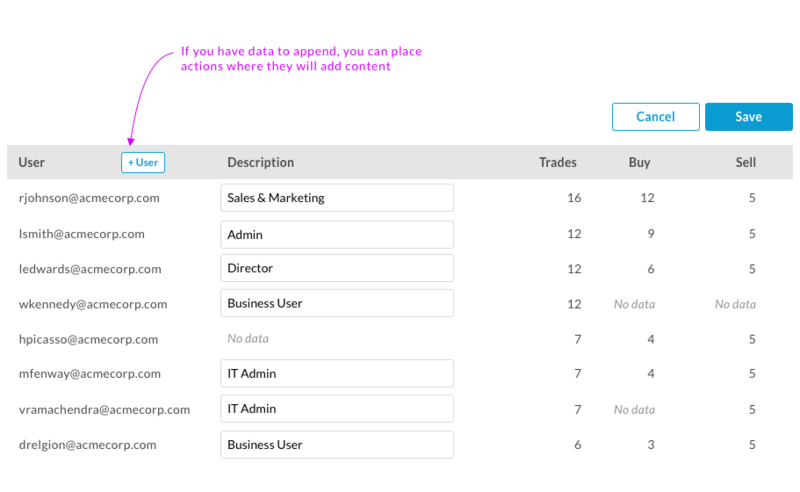 Find out how your users need to modify data, and how often. Instead of a legend, just state where data is missing. I have not seen any specific design guidelines on legends when it comes to tables, but I assume it would be similar to how you should style legends on charts and graphs. 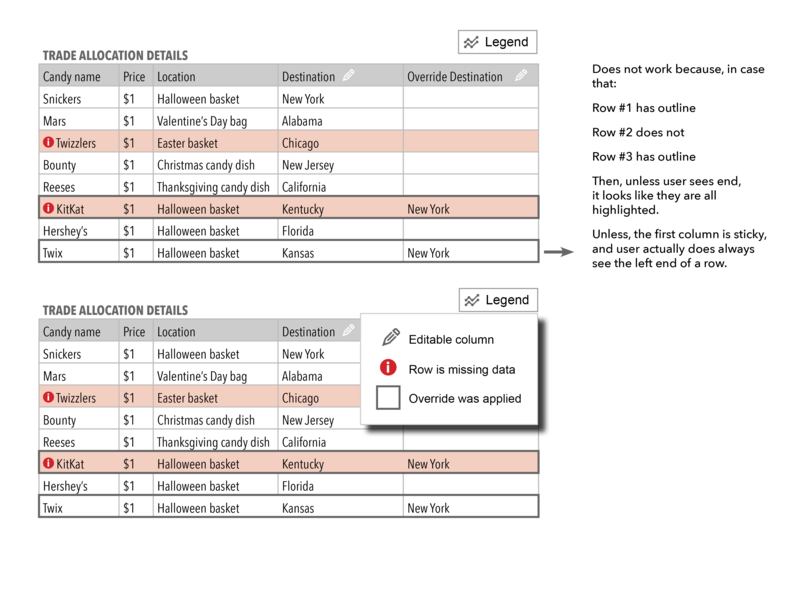 You may need to try a combination of the above strategies (including your own solution) to see what works best with the data to be displayed and test with end users, but I think the design patterns I mentioned seemed to be more common than using a legend in a table. I want to point out that the rationale you mentioned for not wanting to end up with 'an army of pencils' could be the same with having lots of rows with missing data resulting in 'an army of exclamation points'. Just keep in mind that as long as you don't intend to introduce too much more variation or types of content to the table, all you need to do is make sure that design decisions are consistent and simple. That way at least the users will be able to learn it quickly and get used to the design. Not the answer you're looking for? Browse other questions tagged tables grid or ask your own question. How to format tables with monetary data? Data tables - what's column should be first? 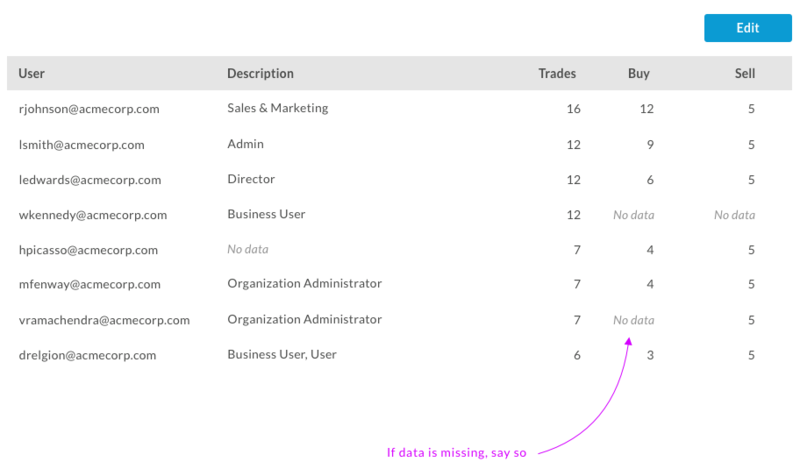 How do you keep your data tables simple? How to represent “no data” cells in HTML tables?